The Crumpler BU-04A Bucket Insert for Complete Seed Bag is a stand alone case for a digital SLR camera with 2-3 lenses and a laptop computer. 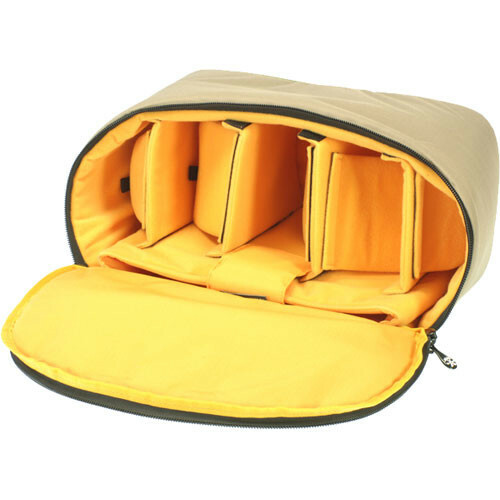 It will also work as an auxiliary insert for the Crumpler Faux Deluxe and Bee's Knees bags. 420 denier ripstop nylon padded insert for a digital SLR with 2-3 lenses.